Motorola Solutions produces and sells communication products and services to public safety and government agencies, as well as private entities. The company provides services to more than 100,000 public safety and commercial customers across more than 100 countries. 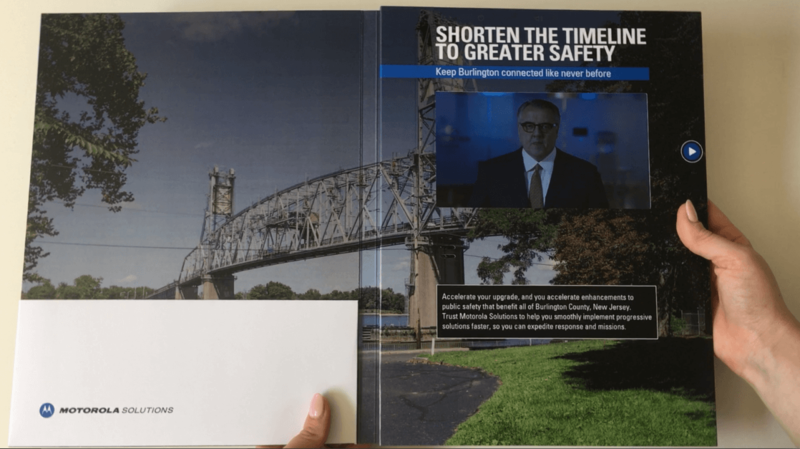 Using bigDAWGS’ Video Greeting Cards, Motorola explains on how to keep Burlington County in New Jersey be connected than ever. Shortening the timeline to greater safety by improving coverage, system features and support. As a result, all this translates into a safer Burlington, its first responders and most especially its citizens.